Guess the guestie and win! October sneak peeks and giveaway winner! 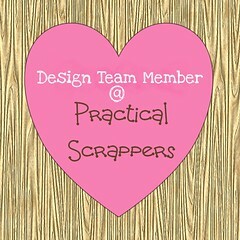 Practical Scrapper's biggest contest ever! Guess what I've been working on? 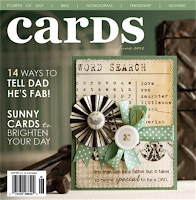 I am so happy to be guest designing for Freehand Scraps this month. I love their kits, their choice of papers just suits my style, and there are so many embellies to play with! And I'd like to share a bit of my happiness with you, so I have prepared a very special giveaway. I have included flowers, stickers, alphabets, chipboard, lace, die cuts, buttons, tons of stuff. But also, I used what remained from my kit (after making three layouts, two cards, and two altered projects, it really has TONS of stuff!) to make some unique embellies for you. I have made flowers, tags and other embellies, and they are my favourite part of the prize! If you'd like to have a chance to win this pack, all you have to do is visit Freehand Scrap's blog and leave a comment on my post: "Ten Ways to make your projects unique". Then come back here and let me know you did (I have had some messages from people who've had trouble commenting. If you are having trouble, try this: just right click on “add comment” and click on “open in new tab” or “open in new window”. If you still have trouble leaving a comment at Freehand Scraps' blog, please leave one in their Facebook Page instead). 1)become a follower of my blog and leave a comment here (or leave a comment saying you already are). 2) advertise this giveaway in your blog, Facebook and/or twitter and leave a link to where you advertised (one extra chance for each link). newsletter (and leave a comment here to let me know you did). The deadline is September 30, the winner will be randomly picked and announced on October 1st. Good luck to all of you! WOW! What you did with your kit and posted over at Freehand Scraps is awesome! I left you some "love" over there! I became a follower! 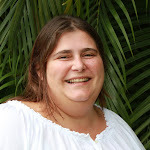 If you have time, come visit my blog! I am subscribing to Freehand Scraps now. You are so creative girl! Those ideas of your are totally original and fabulous :))) I left you some bloggy love there. I already follow you crafty girl. I posted your link about your giveaway in my facebook page. Whooo. Think I covered them all. Thanks for the chance to win. The embellishments are gorgeous. I'm a follower, left a comment at Freehand Scraps, shared this on FACEBOOK & my blog. Thanks for the chance to win!! I have "like" you on FB and have become afollower andI have left comments everywhere. I would love to win this stach. 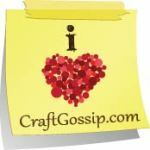 I left a comment on your post at Freehand Scraps! I already liked Freehand Scraps on FB! I subscribed to the Freehand Scraps newsletter! 6. am subscribed to their newsletter! 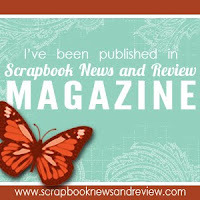 I have subscribed to receive your Freehand Scraps newsletter. Really admire your creativeness with embellishments! Beautiful! What a prize...I have posted a comment on Freehand Scraps blog and on FB. Great ideas and love your work! Wow! great post Carolina, left you some love there and I'm glad you have more pictures here...fantastic LO's girl! Loved your inspiration on the Freehand blog - I love making my own embellishments too! I'm also now a follower! I, too, am already a follower of your blog and a subscriber to the Freehand Scraps newsletter. I also liked them on FB, and posted a link to your page on my FB page! As I told you before, I learned more in your post over there than in an entire scrapbook mag this month! I am hoping they will sign you on as a permanent member of their talented team, Caro! Loved your "Ten ways to make a project unique" posting. Lots of great information and I love all the closeup pics. Liked Freehand Scraps on Facebook and signed up for their newsletter. Think I got everything. Thanks for the chance to win. I left you a comment...but I'm having some computer issues so I ended up leaving TWO. Sorry about that. lol Really excited about the give away, it looks awesome! Primero qu enada me encantaron los 10 datos de enchular un LO para hacerlo más único; hasta guardé la página porque tengo perlas y me gustaría probar el dato con el alfiler de seguridad cn perlitas. Soy seguidora tuya, de Freehand Scrap, he promovido tu givaway en mi blog (sidebar) y en Facebook, y tambíen he puesto "like" en Freehand Scrap facebook side, and I'm already a subscriber of Freehand Scraps Newsletter. Oh that is some yummy looking candy! I subscribed to Freehand Scraps! I liked Freehand scraps on FB! I just subscribed to the FHS newsletter. I'd love to become a follower of your blog but I'm apparently not smart enough to figure out how. (I'll add you to my daily blog fav., however, because I love your ideas) This is a great giveaway with one-of-a-kind prizes! What a great post, love all the tips you shared!!! I liked freehand scraps on FB. Done all three, following your blog, liked Freehand Scraps on Facebook, left comments at Freehand Scraps and here and subscribed to their email. I have been following your bog for some time now and love your very creative work. I loved your tips over at Freehand Scraps. So simple and easy to do and so effective. I signed up for the Freehand Scraps newsletter - looking forward to learning some more great but simple techniques.